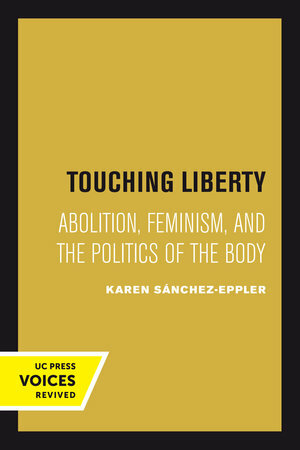 In this striking study of the pre–Civil War literary imagination, Karen Sánchez-Eppler charts how bodily difference came to be recognized as a central problem for both political and literary expression. Her readings of sentimental anti-slavery fiction, slave narratives, and the lyric poetry of Walt Whitman and Emily Dickinson demonstrate how these texts participated in producing a new model of personhood—one in which the racially distinct and physically constrained slave body converged alongside the sexually distinct and domestically circumscribed female body. Moving from the public domain of abolitionist politics to the privacy of lyric poetry, Sánchez-Eppler argues that attention to the physical body blurs the boundaries between public and private. Drawing analogies between black and female bodies, feminist-abolitionists use the public sphere of anti-slavery politics to write about sexual desires and anxieties they cannot voice directly. However, Sánchez-Eppler warns against exaggerating the positive links between literature and politics. She finds that the relationships between feminism and abolitionism reveal patterns of exploitation, appropriation, and displacement of the black body that acknowledge the difficulties in embracing “difference” in the nineteenth century as in the twentieth. Her insightful examination of these issues makes a distinctive mark within American literary and cultural studies. This title is part of UC Press’s Voices Revived program, which commemorates University of California Press’s mission to seek out and cultivate the brightest minds and give them voice, reach, and impact. Drawing on a backlist dating to 1893, Voices Revived makes high-quality, peer-reviewed scholarship accessible once again using print-on-demand technology. This title was originally published in 1993. Karen Sánchez-Eppler is Professor of American Studies and English at Amherst College.